Last Year, People Spent 19 Billion Dollars To Host Their Websites! Who Needs Hosting? - Everyone! 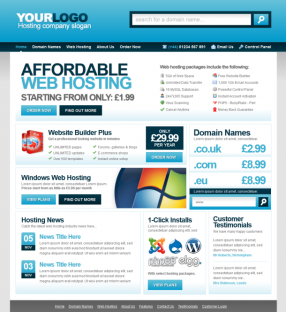 Every person, company who needs to get on the web needs a WEB HOSTING. It's like paying for electricity... There is no IFs & Buts about it. You NEED it & MANY others like you need it aswell. Imagine, having customer paying you MONTHLY & you rarely have to do anything. Normally JUST 2-3 Sales Will Put You Into PROFIT. Reseller Hosting Costs can be low $25 per month for ability to sell to up to 10-15 people HIGH end hosting or 30-40 people low end hosting. Of Course, as you grow- you should UPGRADE your reseller hosting to match your growth & that's OKAY. And GUESS WHAT? Chances are you are already paying monthly fee for hosting right? Why not combine your hosting account with reseller? for example. You may be paying $10.. $15.. even MORE per month for your hosting Correct? When you get a reseller hosting, you can host your own account. How PROFITABLE is this BUSINESS ? Let's say you are paying $25 recurring for your reseller hosting. You find 2 customers to pay you $13 per month, you have already covered your expense. In REALITY, Your customers will pay as HIGH as $100-$200 PER month for 1 hosting account! All you have to do is setup the account & most customers will go on their own easily. 99% Of the time, You PROBABLY already have at least ONE customer who needs hosting or might be paying too much for their hosting. How Will You Get Your 100+ Customer ? That's my JOB to teach you how to get to that level with marketing & basic steps. Who Will Support My Hosting Customers? - EXTENSIVE guide on where/how to buy reseller hosting. - How to stay PROFITABLE. - Marketing Training on How to attract customers & sell. 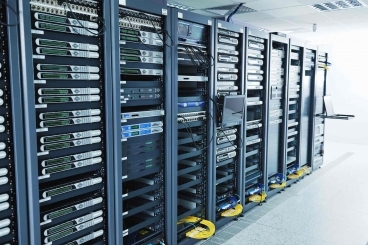 - Training on selling Dedicated Hosting & VPS servers. - How to make private clients pay as high as $500 for hosting. With Self Service Plan, We will give you the WordPress Website Setup & Other Resources As IS. You will need to modify it and Install on your website yourself. If you know how to restore a WordPress site. Get this. For Do it All, You give us a Business NAME & We will setup your WordPress site on your hosting or Ours. Keep in mind, This is for SETUP only. You will still be required to run your own business, run your own ads, do your own promotions & get your own reseller hosting. Extra Benefits Of "Do It For Me"
- Customized Logo on your website. - Fully READY to go website! - We will integrate your PayPal or Stripe on the website.